Patriotism, pride, and percussion filled Powell Hall for the 2017 Joining Forces concert. 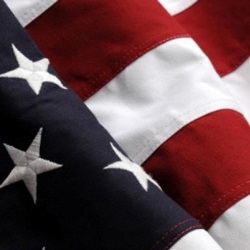 Musicians of the St. Louis Symphony, the 399th Army Band, and the United States Air Force Band of Mid-America joined forces to honor veterans and active duty military service members. More than 2,000 people attended the free concert. Neil Cantwell, an Army veteran, attended the concert with a group of veterans. While the St. Louis Symphony has a history of working with both military bands, the concert marked the first joint performance at Powell Hall. The concert’s conductors were Kevin McBeth of the St. Louis Symphony, Lt. Col. Michael Willen of the USAF Band of Mid-America, Chief Warrant Officer 2 Benjamin McMillan of the 399th ArmyBand, and Lt. Wilson Wiseof the USAF Band of Mid-America. The concert was presented by Commerce Bank. Madeline De Geest, 11, started dreaming of becoming a conductor after she saw St. Louis Symphony Resident Conductor Gemma New perform in the Fall of 2016. 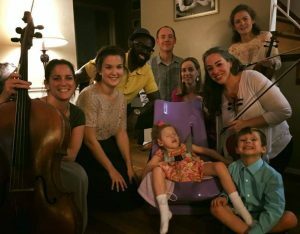 “When she went on stage she had this presence,” De Geest said. 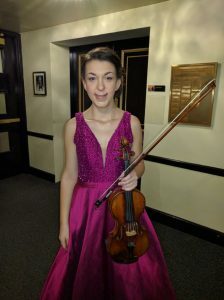 New was leading the St. Louis Symphony Youth Orchestra. “I could not take my eyes off her,” De Geest said. After the performance, De Geest asked New for an autograph. It was a small gift, but it is inspiring a big dream. “I want to be a conductor someday,” De Geest said. 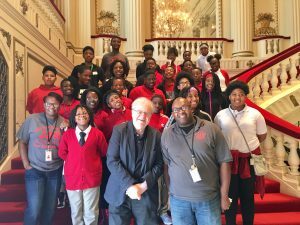 In the Spring of 2017, New invited De Geest to a St. Louis Symphony Youth Orchestra rehearsal. De Geest brought a violin, a music folder, and a desire to learn. 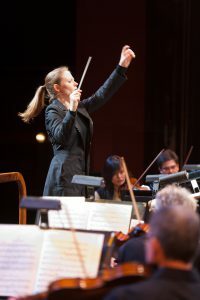 New’s main role with the St. Louis Symphony is to conduct concerts. 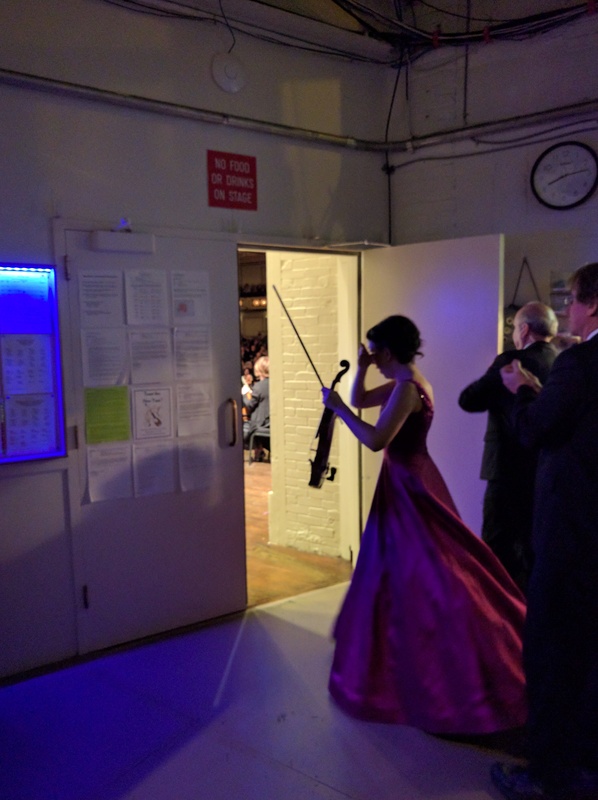 However, New’s impact is not confined to the stage at Powell Hall.